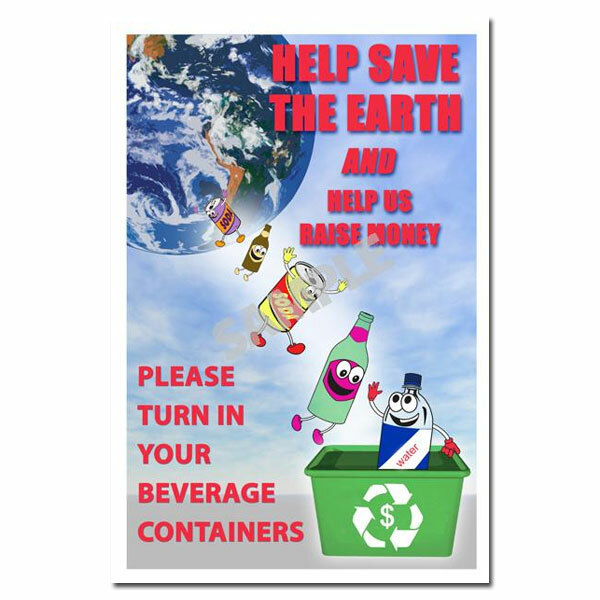 Theme: A collection of characters in the shape of various containers remind us to recycle by throwing cans and bottles into the recycle container. 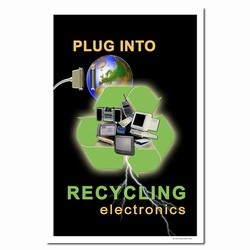 This poster is designed to be part of a fundraising program. 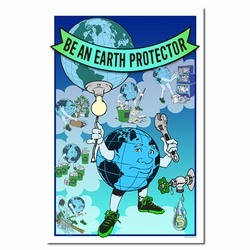 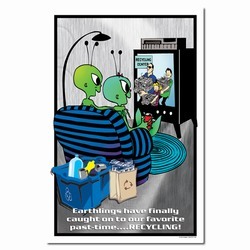 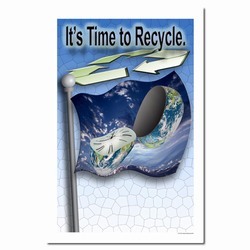 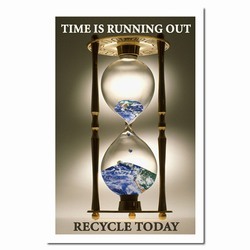 Message: "Help save the earth and help us raise money. 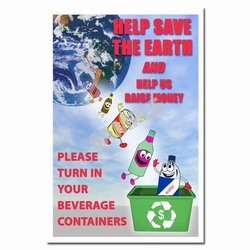 Please turn in your beverage containers."